Nearshore and offshore fishing excursions, fishing for Cobia, Grouper, Kingfish, Permit, Snappers, Sharks, and whatever else we can set our hooks into! It’s so much fun to yell and scream all you want as your yanking up a monster or just filling the box with snapper. then get ready to fish hard !! 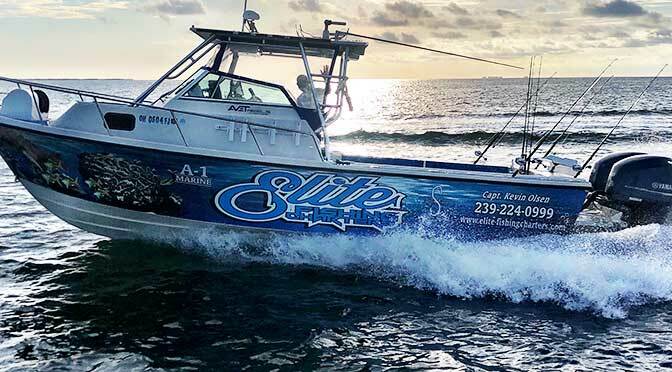 Enjoy the sooth ride on our 25 foot Parker, or 28′ Blue Wave deep sea fishing boats powered by two 200hp Yamaha’s, and fully rigged for an awesome off shore experience. It has been inspected, and continues to be inspected by the Florida wildlife officers. The Parker is Captained by Jeremy Olsen, who has worked diligently to achieve safety and comfortable fishing conditions on this awesome fishing machine! I can tell you from first hand experience that running offshore with Jeremy is an opportunity of a life time. He works hard and is gifted at finding the where the fish are hiding. 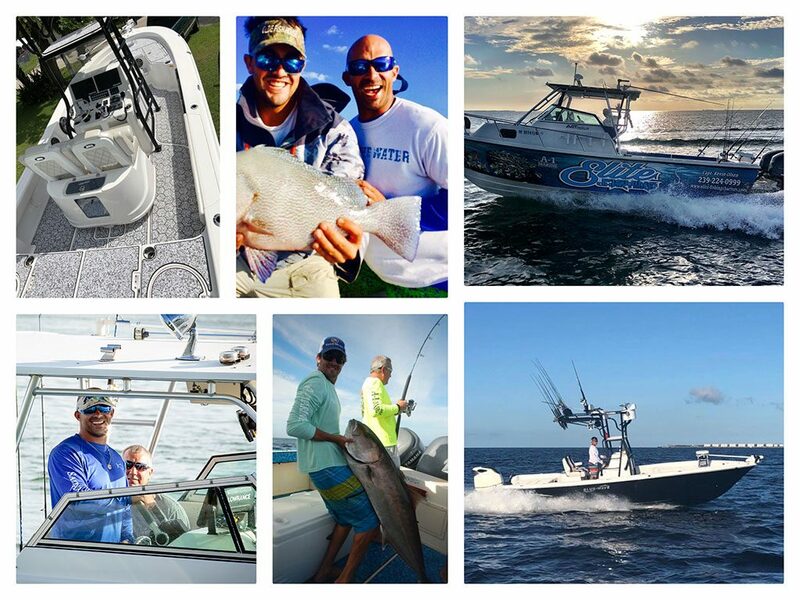 Captain Kevin Olsen is by far one of the most knowledgeable Captains around SWFL. Kevin is passionate about not only his job, but knowing his clients come back multiple times a year and love bringing home the fish! He has patience, knows the waters, (inshore and offshore) and has an outgoing personality. Being the best Charter Captain means never settling, for less than the best experience!